I beat my record for devouring/reading an Emery Lord book! The first thing mentioned in my reviews of The Start of Me & You and The Names They Gave Us are how quickly I read them, over a weekend or couple of days. Open Road Summer smashed it out of the park! I read about 40 pages in a gap on a very busy Saturday, then read most of the book on Sunday afternoon. I stopped reading because I realised I couldn’t see the pages, it was too dark! Then after dinner, I finished the remaining 50-60 pages. I can’t recommend Emery Lord’s books enough, they’re perfect for weekend or holiday reading! Open Road Summer is THE summer read of 2018. It’s got friendship, romance, music and a road trip! Dee and Regan will remind you of your own best friend, the way they support, protect, care for and tease each other. Who knows? Maybe Matt will remind you of a high school love (or maybe that’s just me). Music is a very important theme in the book. The story takes place on a summer tour, with lots of references to writing and performing music. Regan’s best friend is Dee, but to the rest of the world, she’s Lilah Montgomery. Regan also gets to know Matt, though the rest of the world knows him as former brother boy band member, Matt Finch. It might be my age or a projection of my favourite artists, but Matt and the Finch Four reminded me of the Jonas Brothers! Lilah Montgomery also gave me Taylor Swift and Miley Cyrus vibes, which I just loved. There are parts of the story that focus on publicity, security, privacy and celebrity, with a focus on teens. I think it’s a fantastic reflection of what the media and the world put celebrities through. Especially if they’re younger, the world judges and scrutinizes them as adults when they’re not (though the world could also treat the adults better). The public relationships, publicity stunts, disguises and secrets also reminded me of the previously mentioned young musicians. 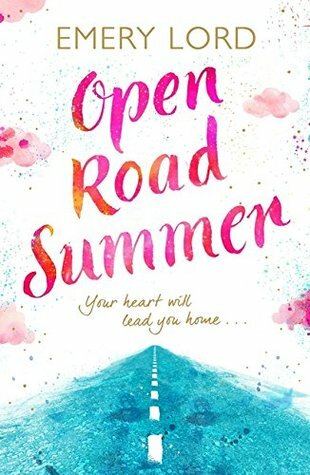 Even with some celebrity drama, Open Road Summer is a very enjoyable read. Each character feels like a friend, the setting will have you planning your next road trip and the romances are fun with plenty of adorable moments. By the time I finished this book, I was wishing I could add Lilah Montgomery and Matt Finch to my summer playlist!